Every person’s uniqueness reflects the way they bid goodbye to this world. No two endings are the same. Some gradually pass on, while others quickly close their eyes. In the advancing years of your loved one, especially when they’re already receiving serious medical attention and home health care in San Antonio, Texas, it might help to orient your heart to be ready for the inevitable. When their ending is closely approaching, your presence can bring them great comfort and reassurance that they can transition peacefully. 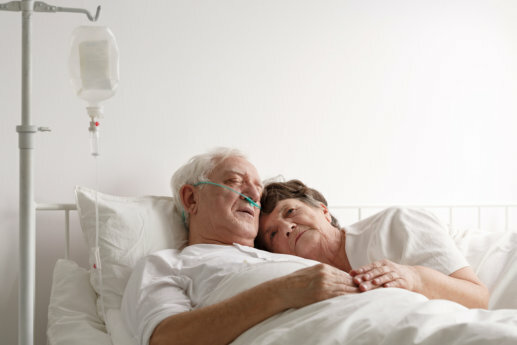 In some instances, getting hospice care becomes necessary when the patient’s prognosis is already six months or less. Providers of hospice care in San Antonio, Texas will give you a better opportunity to focus on enjoying being with them while professional care providers will administer to their medical needs. While nobody can really prepare us for grief, we may be able to accept the happening in a fair amount of time when we’re able to anticipate the coming end. Let us share with you the often signs manifested by patients when their days are closing. At about this time, the healthcare team will encourage you to stay around your loved one to assure them of your love and bid your goodbyes for a peaceful passing. This will be one of the hardest moments in hospice care but you will be glad to know that most patients become clear-headed in their final hour. Our team at Four Seasons Hospice will be here with you and your family as you journey in this darkness. There is always an unexplainable comfort when our grief is shared with others. This entry was posted in Hospice Care and tagged Chronic Pain, Death, Health Issues, Old Age. Bookmark the permalink.